At Key Landscape and Irrigation, you are guaranteed of excellently installed paver features and amenities. Our installation team is composed of certified paver installers with decades of installation experience. Every paver amenity that we work on is carefully designed and built according to industry standards. In fact, the outdoor paving projects that we have completed years ago are still in their prime conditions even if they are subjected to extreme weather and harsh environmental elements. This is a proof that we are experts in this field. 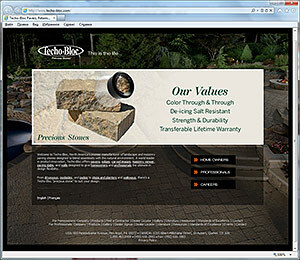 As authorized installers of Techo-Bloc, you will also enjoy the full product warranty offered by the company. We strictly follow the manufacturer's specifications to ensure the longevity and reliability of the paver amenities we build. Whether the project involves patio installation or building a long private driveway, you can always rely on our expertise and quality of the pavers we use. Our past clients from Keene, Hillsborough, Springfield, and surrounding areas praise us for our creativity and impressive designs. We make sure that our designs are unique and highly personalized to suit their needs and discriminating design taste. Our awesome collection of pavers is also one of the reasons why we can easily come up with stylish patios, pool decks or driveways. We can also adopt popular themes, such as Old World, Mediterranean, contemporary or modern. If you are planning to build these kinds of paver amenities, call Key Landscape and Irrigation today and we will assure you that your new paver amenity will not only look elegant but also last a lifetime. Key Landscape and Irrigation is known in the state for our reliable services. In fact, we are considered as one of the few reliable paver installation contractors in New Hampshire. Our company is well-experienced in the design and installation of all kinds of paver structures for residential and commercial properties. Aside from our certified paver installers, we also have the needed resources to handle large installation projects. Moreover, we use only premium pavers from Techo-Bloc and other leading paver manufacturers in the country. Call us now at (603) 352-6496 and let us talk about your outdoor paving project.